…it’s that time again! 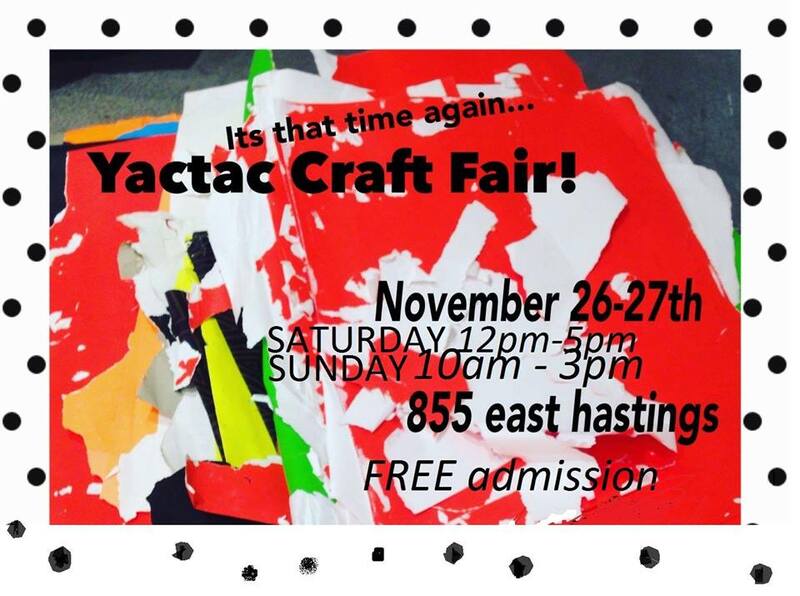 Come and pick up some one of a kind gifts and crafts at Yactac’s annual craft fair. We will be featuring local artisans and serving up some hot tea and snacks. Admission is free! Everyone is welcome!